Password bios is password the computer, which is stored in nonvolatile memory. It is set during initial configuration and is easily forgotten. At this time users ask many questions that are associated with the restoration of password to the BIOS. To carry out this operation, you need to follow a certain algorithm. The easiest way is to reset all settings CMOS Setup" in the default state. The BIOS settings Default do not include any password to run the computer or to log in to the utility “BIOS Setup”. So if you don't remember BIOS password, need to reset it. Thus you will reset the "CMOS memory", returning to the initial settings. Earlier it was used by so-called service (engineering) passwords, that is individual for each BIOS manufacturer. On today's motherboards these passwords do not work anymore. 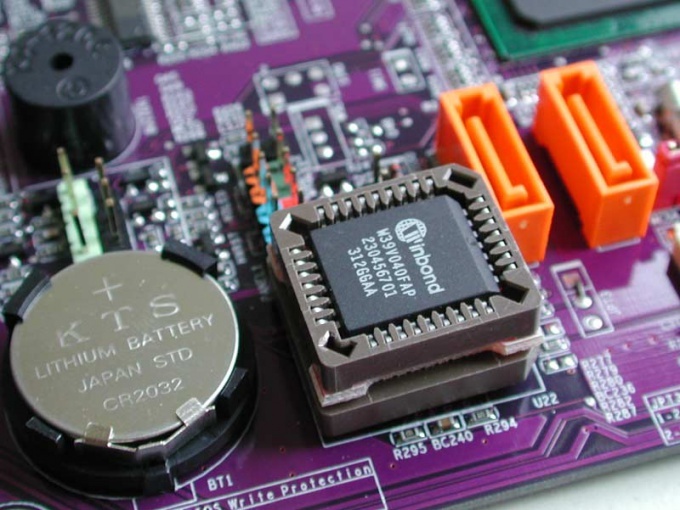 To produce dropping the “CMOS memory”, you need to prepare the system. On the computer turned off (power cord removed also) find on the motherboard (next to the battery, the CMOS switch Clear CMOS”. Move the jumper to the second position and press the on button of the computer. Then return the jumper back on and turn on the computer. After enabling, go to “BIOS Setup” and check all settings. If the jumper “Clear CMOS” on the motherboard no need to get the battery the CMOS and wait a while. Next, install the “BIOS Setup” (and password) will be reset. At this point in time not every personal computer or laptop equipped with a special jumper to clear the BIOS settings. Also the jumper may be unavailable. You can use the method for clearing the BIOS from DOS. This is done with the command "debug". Boot the computer into DOS system. Next, enter the command "DEBUG-O 70 17 -O 71 17 Q". After that, the system should automatically boot. If your computer system is integrated AWARD BIOS, you can try to enter the factory passwords. Passwords are generally these: AWARD_SW, TTPTHA, aPAf, HLT, lkwpeter, KDD, j262, ZBAAACA, j322, ZAAADA, Syxz, %six gaps%, Wodj, %nine spaces%, ZJAAADC, 01322222, j256, ?award, 00000000.